In the last decade, the definition of how we work and live has changed significantly. Facilitated by advances in technology and options available to build a variety of online businesses, many digital nomads are blending work and life, choosing to explore the world, while continuing to work. Catering to digital nomads, a small but growing trend has emerged of co-living/co-working spaces. The co-working and co-living ideologies are being adopted by pretty much any entrepreneur or adventurer whose career allows for remote working and has a passion for travel, new experiences and making new friends. With this concept, you can work and live anywhere around the world. So what exactly is a co-living/co-working space? Essentially they are large homes that accommodate a certain number of digital entrepreneurs (usually 10-20), providing each entrepreneur with a private bedroom and bathroom, while sharing other common areas, and with a particular focus on space to get work done. Many co-living/co-working spaces also include cultural events, outings and dinners with the house guests. Comfort – Enjoy privacy and comfort. Every room has its own private bathroom, is fully furnished with a queen or king-sized bed, and even includes cleaning services for your sheets and towels. It’s everything you need to feel right at home. Community – Show up and find community anywhere. Each location is much bigger than a house, so that we can comfortably support a large, diverse community with plenty of gathering spaces for events, meetings and classes, for both members and neighbors. Productivity – Get work done. With Internet access from anywhere, where we live and where we work are colliding in unpredictable and intriguing ways. Adventure doesn’t have to wait until you quit your job or you retire. The days when you had to show up in office to have a meaningful and productive career are long gone, and you no longer have to fill a bungalow with fancy furniture to live comfortably. Work and life are now more flexible than ever, especially for digital entrepreneurs. Sure, a few entrepreneurs rent AirBnbs or stay in hotels, but these options present one major downside: They miss all the perks that come with being part of a like-minded community. 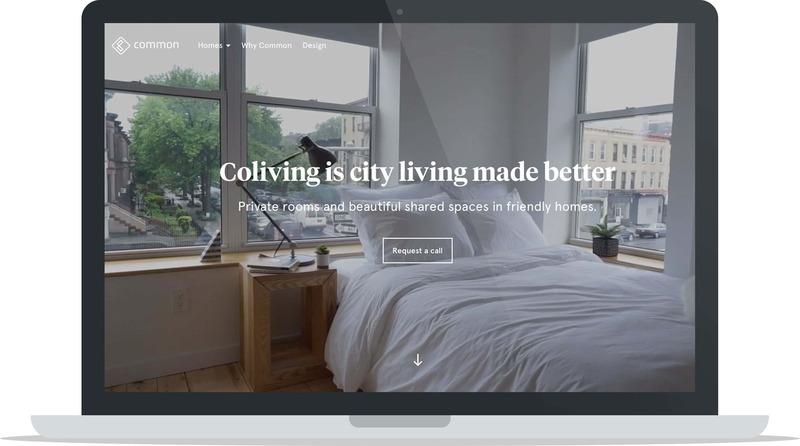 Co-living gives you the opportunity to form a community anywhere you choose to be and co-working enables you to interact with other passionate entrepreneurs. This lifestyle is all about agility: Being able to live out of a suitcase for a long while or a little while. Some spaces host nomads on a monthly or weekly basis, while others are villas offering exclusive month-long retreats. Others even organize for shorter-term workspaces and accommodation around the globe. No Commute: You don’t need to wake up early in the morning, rush to catch the bus and spend hours of your precious time in a traffic jam. The ability to work from where you live can save you a lot of money and time, which you would have otherwise invested in public transport or fueling your own car. It’s Cheaper: Co-Living arrangements are much cheaper compared to having to rent a place to live, and then separately pay for a working space which you will have to commute to daily. No Opening Hours: Most shared offices aren’t open 24 hours a day, and if you’re anything like most creatives, the best ideas will always spring up at very odd hours of the night. With a co-living and co-working space you can be up at any time of the day or night to do your thing. Enhanced Productivity: Co-living and co-working spaces allow you to work whenever creativity kicks in or when you’re feeling your most productive. As already mentioned, no need to consider opening hours. Additionally, you have the opportunity to meet other like-minded entrepreneurs which can help fuel and enhance your productivity. It’s Easier: Having everything you need under one roof makes your operations much easier. It gives you an opportunity to organize all the relevant aspects of a location-independent lifestyle. Meet New People: Pretty much everyone who opts for a co-working and co-living lifestyle is outgoing, ready to connect with and meet new people. Even if you’re the shy type, living in the same space with other people can encourage you to connect and share with other like-minded individuals. Additionally, you get the feeling of a community around you which you wouldn’t get from staying in a hotel or AirBnb on your own. Locations: World-wide! Every 30-day retreat is hosted in a different location. 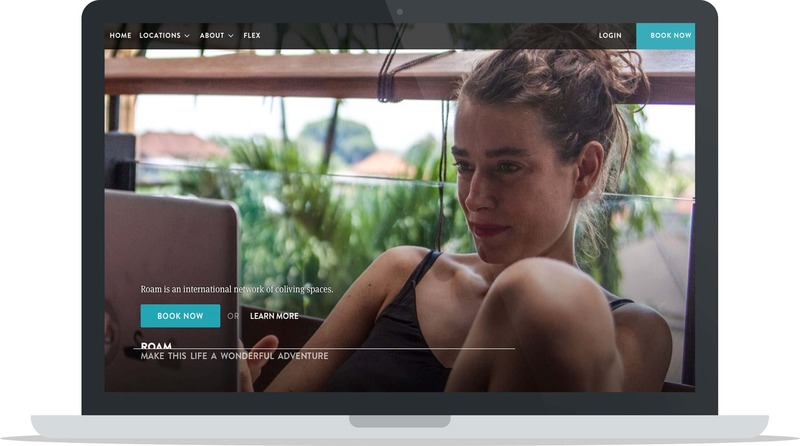 Nomad House is not a single co-living space, rather, it’s more like an Airbnb providing co-living opportunities worldwide. All you need is to type in the destination you are headed to and their system lists available spaces for co-working and co-living arrangements. If you’re headed to Asia or Europe for instance, you will get listings starting from as little as $15 a night for a room, WiFi, communal kitchen facilities and a pool. 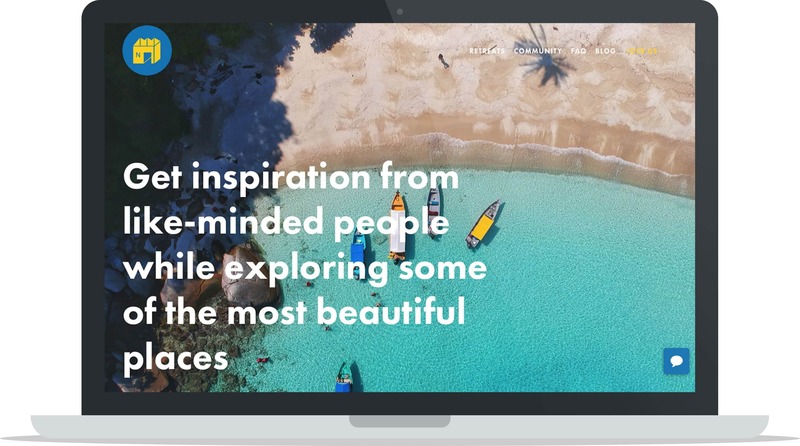 The platform also has a section where hosts can list their beach houses, villas or country retreat, meaning that it can be a great way for digital nomads in similar situations to share their cost of living and maybe toss around a few ideas over dinner. The expansive offers here mean that whether you’re looking for a serene beach retreat in Miami or a co-working space in the quiet village of Taghazout, Morocco, these guys have got you covered. Locations: London, Bali, Miami, Tokyo & San Francisco coming soon. 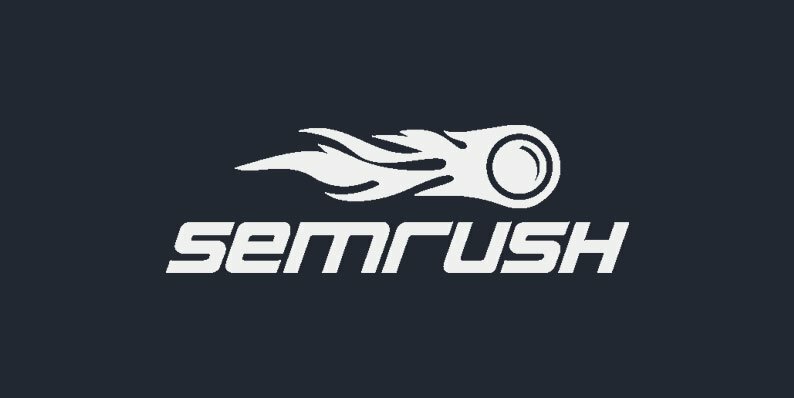 How does the idea of Roam sound to you? Only sign one lease, and you can live around the world. Roam offers a network of co-working and co-living spaces in awesome locations. Think of Miami, Bali, Tokyo and London! 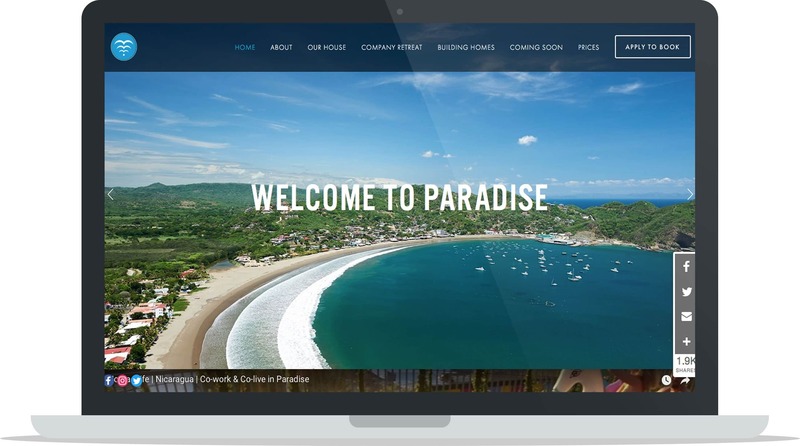 The general idea is that you only pay $500 a week and you get access to any of their stylish properties with rock-solid Wi-Fi and a community of like-minded entrepreneurs. The River Inn Miami location, for instance, consists of a number of wood-frame houses which are decked out with vintage furnishings. You get access to a swimming pool, a lawn for pop-up classes and events and weekly communal dinners. All this, plus, if you’re not a fan of conventional residential responsibilities like cleaning, don’t worry! That, plus the bills, are all taken care of. Location: Jávea, a historic seaside town in Spain. 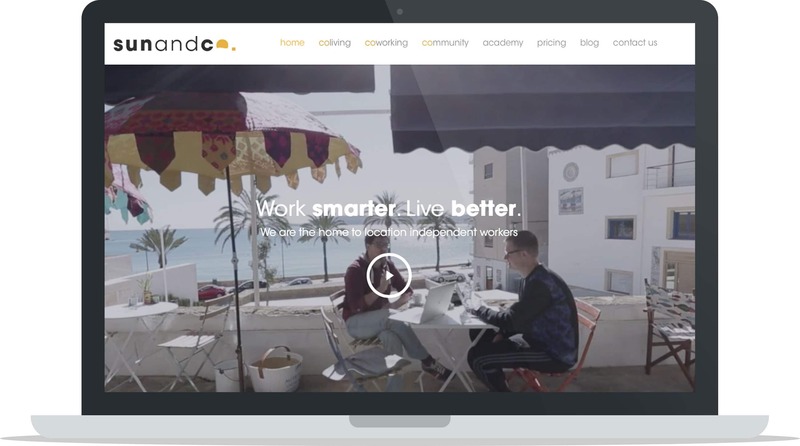 Sun and Co. is the first co-working and co-living community in the entirety of the Mediterranean Coast. This is a place for entrepreneurs, freelancers, digital nomads, location independent workers and pretty much anyone to find leisure and work-life balance. The Sun and Co. community is made up of like-minded entrepreneurs sharing working and living spaces, and ideas. Here, you get an actual co-living experience with everything you need under one roof in a stylish house located in the middle of Jávea, Spain. If you’re interested in working abroad somewhere where you can find focus and hone in on your productivity whilst enjoying a warm and sunny climate, all while meeting new people, then you should give this co-working and co-living space a try. AngkorHUB is named after the renowned temple, Angkor Wat, and is located in the middle of Siem Reap, Cambodia. As a co-working space they allow drop-in sessions and provide high-speed internet, desks, chairs, Skype booths for private calls and air conditioning. As a co-living space they provide meals, airport pick-up services, SIM cards, laundry services, social activities and much more. Cambodia tends to have occasional power and internet outages but thankfully, AngkorHUB has backup 4G internet and power generators that automatically pick up in case of internet or power outages. The Hub also has a spacious green garden with coconut trees and bananas, and their “Skype Hut” also has a hammock, something you will not resist bragging about when you get back home. Locations: Costa Rica, Panama, Mexico, Colombia, Ecuador, Nicaragua & more. Selina co-working and co-living spaces perfectly blend the community-oriented, youthful feel of a hostel and the convenience of a boutique hotel. 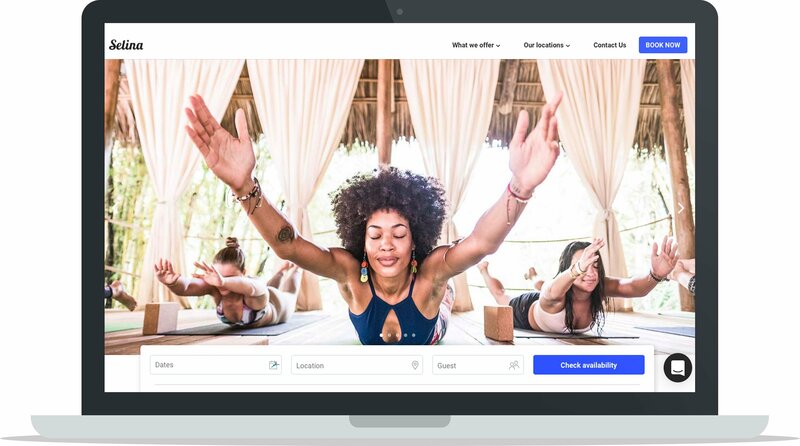 You will get access to yoga decks, cinemas, meditation studios, permaculture gardens, surf camps, language schools, curated co-working offices and recording studios. Selina was founded in Panama and has now quickly grown to the current 13 locations with more on the way. You can get a mix of beaches, islands, urban city centres and tropical jungles across their various locations so you’ll never get bored. The Selina co-living and co-working spaces focus on wellness, art, music, and culture so if that sounds like the perfect setting for you, check them out. Locations: Barcelona, Nicaragua, Peru, Buenos Aires, Bali, Marrakech & more. 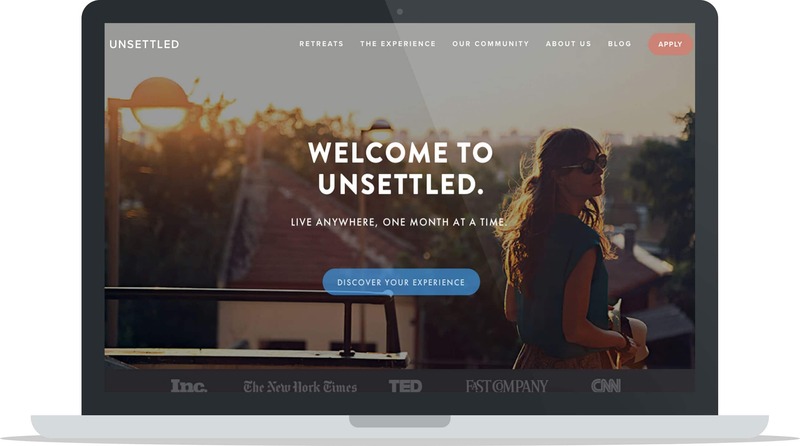 Unsettled is for those nomadic entrepreneurs who value meaningful human connections and embracing uncertainty. The company believes that a little feeling of being “unsettled” can go a long way in cultivating innovation, change, and discovery. Their retreats are designed to take your life, work, and adventures beyond the traditional borders. The Unsettled hubs provide everything you need to feel comfortable, connected, and collaborative: You get access to private accommodations, local experts, shared workspaces, adventures, events, and an awesome community of peers. The company’s philosophy is to guide you in your quest for adventure and meaning of life. They focus on fueling your inspiration, discovery and exploration of the world around you. They want to inspire you to always push your boundaries towards the unknown and seize the opportunities of today. Unsettled brings together entrepreneurs, artists, developers, designers, explorers, and executives. Your specific goals are up to you, but they try to connect you with other people interested in co-creating a healthy work culture based on collaboration, productivity, adventure, and growth. Some of the destinations offered include Peru, Bali, Barcelona, Porto, Cape Town, Medellín and even sailing expeditions. Locations: Multiple locations across USA & Sweden. Hera Hub is the first global, female-focused co-working space. It presents itself as a shared flexible meeting and workspace where women entrepreneurs can collaborate in a productive, professional, spa-like environment. With their platform, you get access to connections, visibility and educational workshops within the community. The company was founded in San Diego and has quickly expanded to six other location including Sweden, Uppsala, and soon Irvine and Atlanta. One of their most outstanding locations in the tree-house-style Mission Valley that offers open plan desks with exercise balls and a swimming pool. Hera Hub emphasizes providing business experts with connections and angel investment opportunities. Locations: Lisbon, Bali, Costa Rica, Puerto Rico & USA. 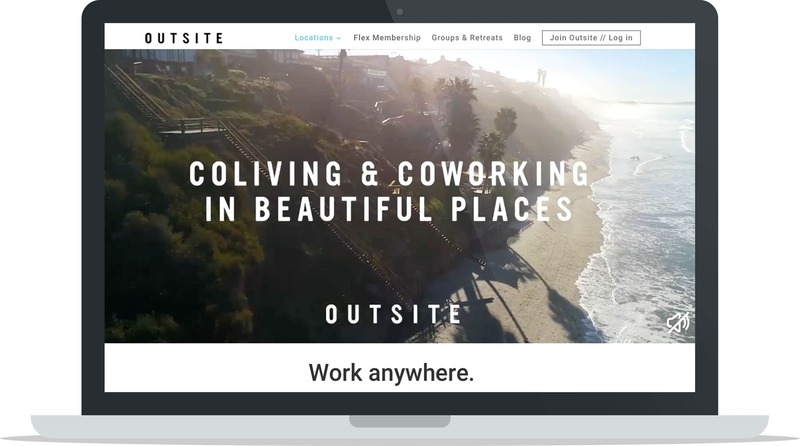 The Outsite platform offers you a “workation” experience that seamlessly combines the convenience of Airbnb and co-working. You get access to outdoor gear like surfboards and bikes, and event managers who will even help you arrange for activities like surfing and skiing. They own and operate all their properties so you can feel at home with sustainable, high-quality facilities. Like the Hera Hub, Outsite is committed to creating a friendly and enabling environment for female entrepreneurs. The company operates nine locations that range from cities to mountains to coastal towns. They include Costa Rica, Hawaii, Puerto Rico, Lake Tahoe, Venice Beach, Santa Cruz, San Diego, and New York City. They also have plans to add Baja, California and Portland. Locations: New York, San Francisco, Chicago & Washington DC. Common differentiates itself from other co-living spaces by focusing their attention onto detail and design. They have a hip approach with a youthful appeal that injects some of their personality into pretty much everything. The company has facilities in New York, Chicago, Washington DC and San Francisco. They offer some very handy features such as Wi-Fi, weekly cleaning, laundromat facilities, kitchens, and amazingly designed common spaces and rooms. The minimum stay in any of their homes is 3 months, but you can stay as long as you want. As a member of the Common community, you get access to all the four locations and you can drop in anytime you’re around. 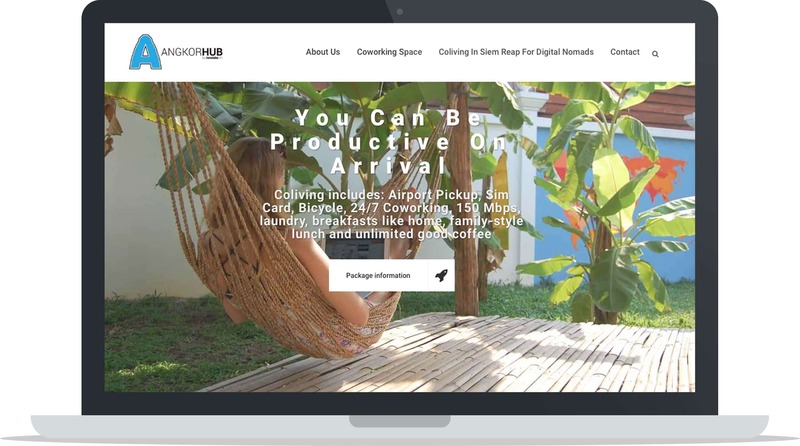 NomadLife is the first of Nicaragua’s co-living and co-working space for nomadic digital entrepreneurs. The facility is located in a unique villa in San Juan del Sur, along the coastline of Juan Bay. The facility emphasizes community, comfort and recreation as well as productive and creative work. Whether you prefer your workstation to be more like a hammock, classic desktop, a poolside seat or an outdoor lounge space, you can always find a spot that will bring your creativity and projects to life. After a long day’s work, you get a chance to interact with your fellow community members for nightly activities like spike ball, open mic, movie night, yoga, and family style dinners. Sound like something you would love to try? Their focus is to make each of your days, the best day. While there are people who want to go on vacation and not even think about work, an increasing number of people have found ways to stay connected and keep their hustle on the go with them while they’re on holiday. As you can see from this article, the location options are varied and co-working and co-living spaces come in different packages to cater to a wide range of preferences. The best part about these co-working and co-living communities is that they are cheaper, more flexible and accommodating compared to having to booking a hotel room. You also get to connect with likeminded entrepreneurs, experience different cultures, and enjoy the community of other digital nomads during your stay.